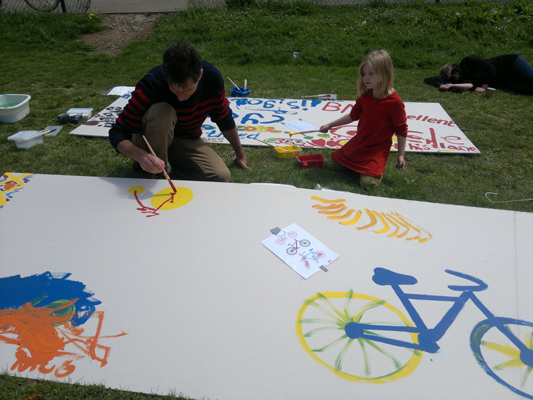 Exploring Senses Artists Hannah Coxeter and Charlotte Allen provide 3 workshops at the Brighton Bike Projects Cycle Celebration. 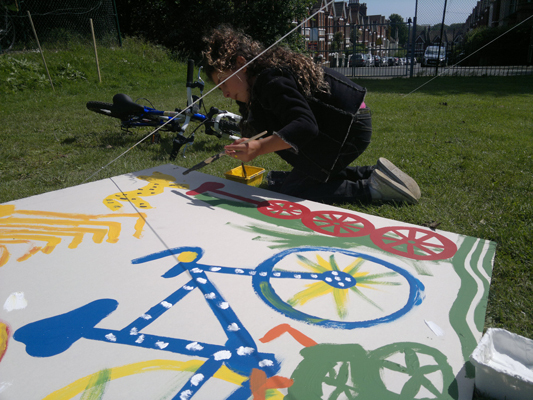 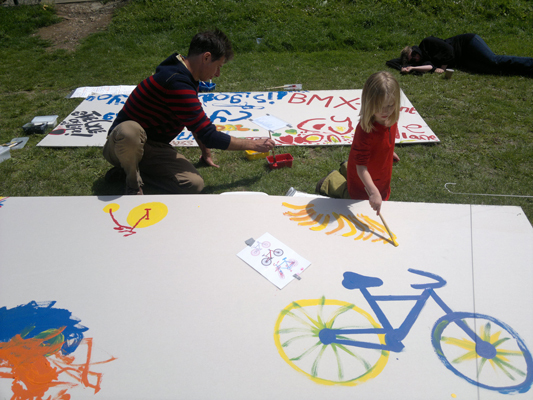 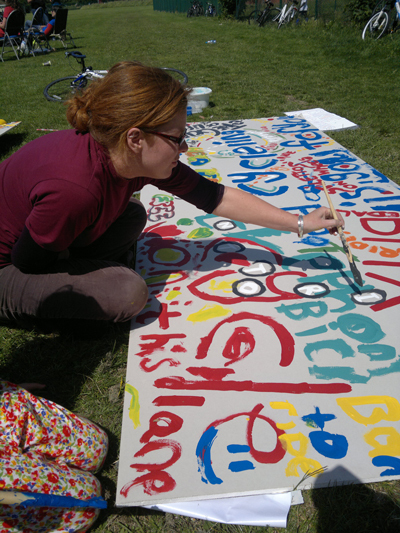 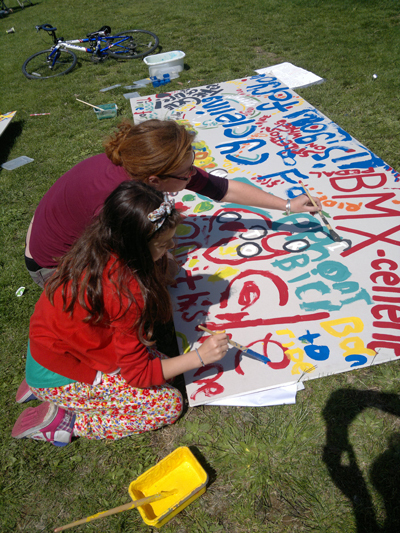 We did, sign reconstruction postcards, badge making, a giant cycle art! 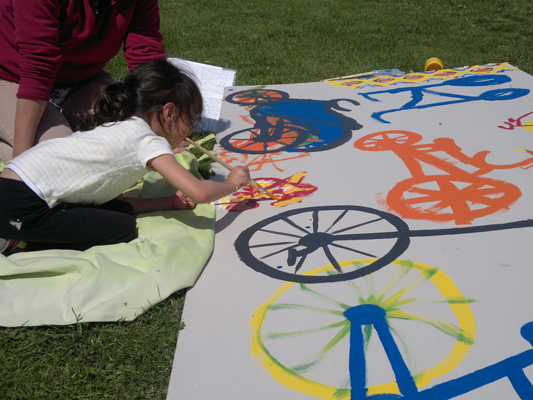 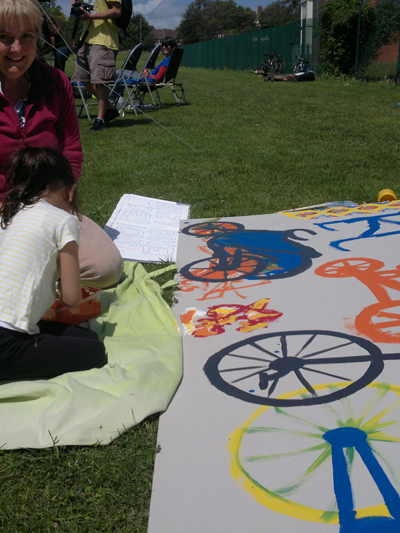 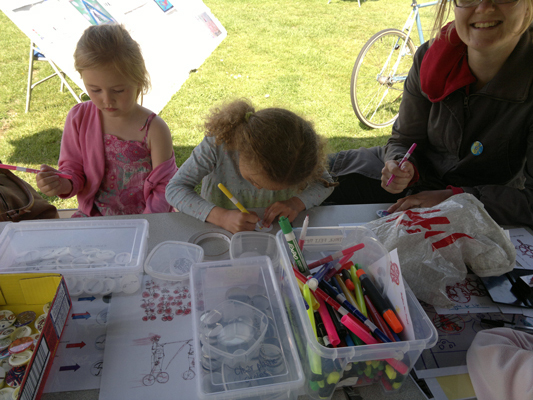 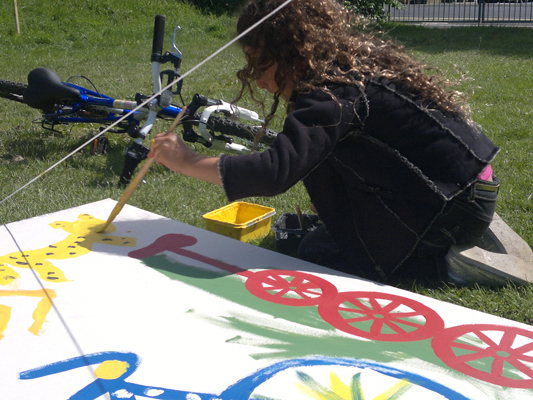 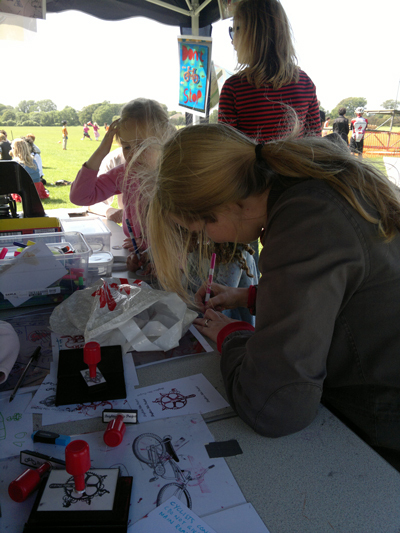 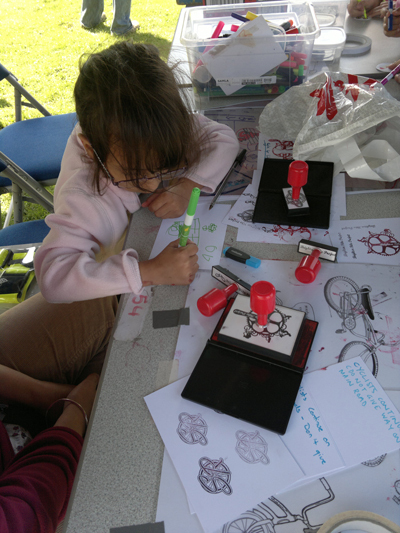 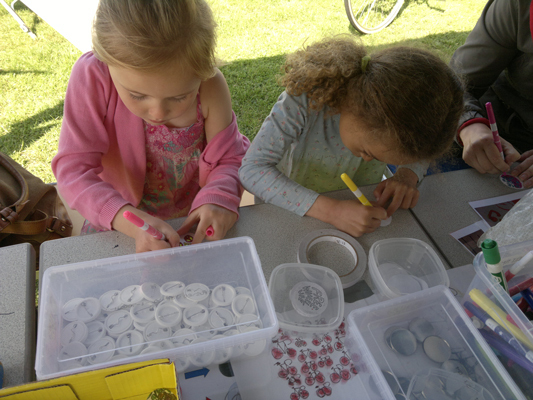 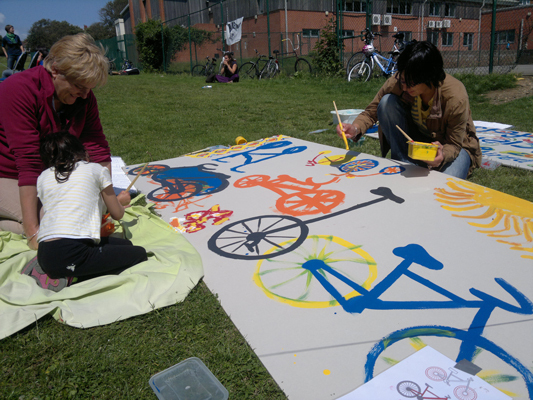 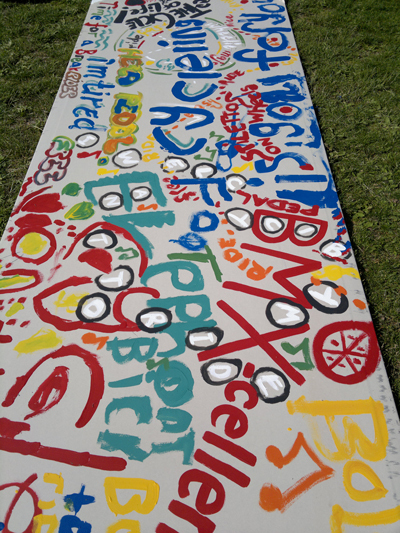 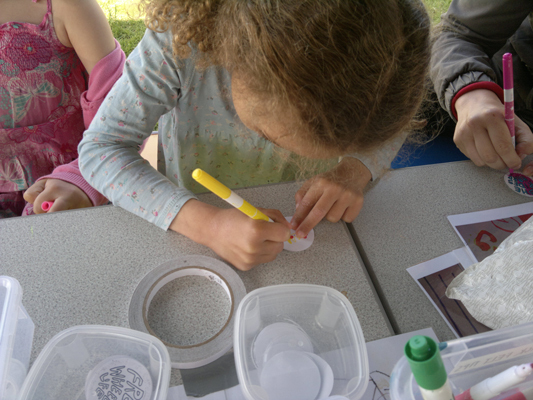 Lots of bike inspired fun was had at a great event, thankyou Helen Kellar! 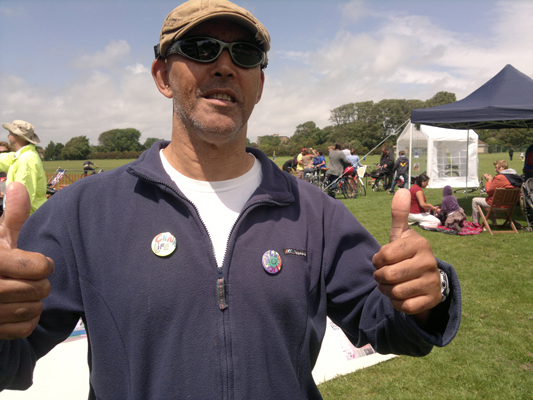 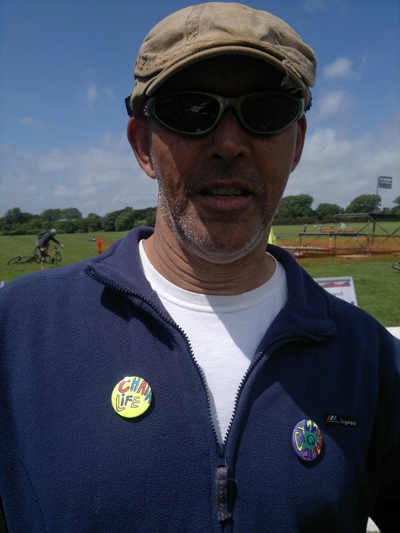 Previous The Summer of Cycling – Care Co-ops Bike Lane Badges!